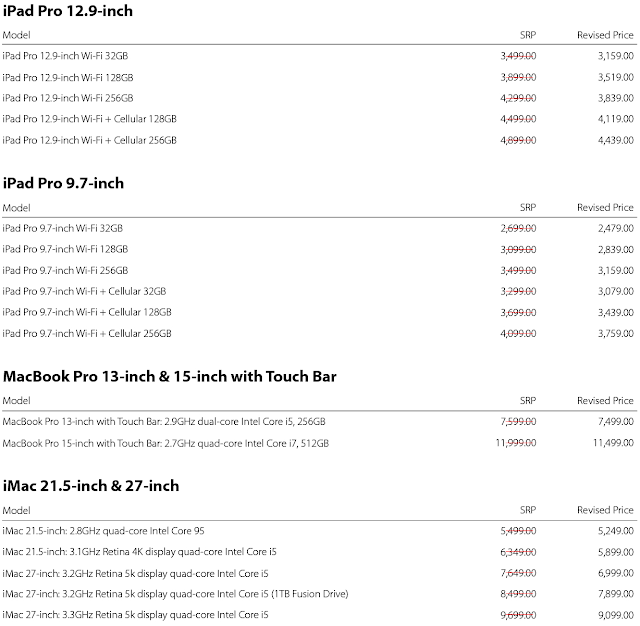 The Best Just Got Better (Apple Product Reprice) Yes! You heard it right! The best of our line-ups just got even better with a handsome revise slapped on their price tags. So throw all your worries and doubts away and strike when the iron is hot! 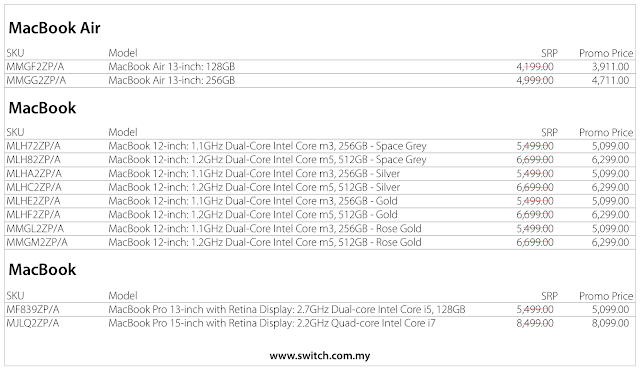 Harga Runtuh's Pro Tip: this permanent price revision for these older generation products has been effective currently at Switch Malaysia. 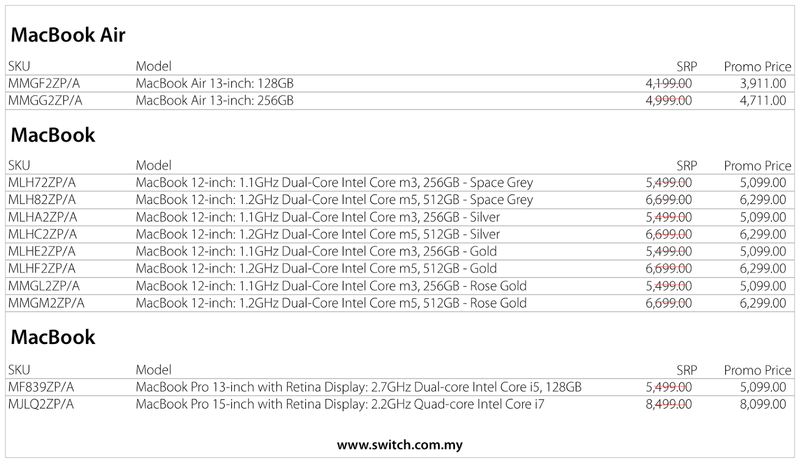 Nevertheless, other Malaysia Apple authorised resellers such as Machines, Mac Studio, Thunder Match, Epi Centre & Mac City will follow suit soon. Alternatively, you can buy online at even cheaper prices @ Lazada Malaysia.